This was inspired by a holiday coupon book, with pictures of Betty Crocker creations. The cupcakes are marbled vanilla and chocolate (made with cocoa powder for a dark chocolate flavor), with vanilla pudding mix. 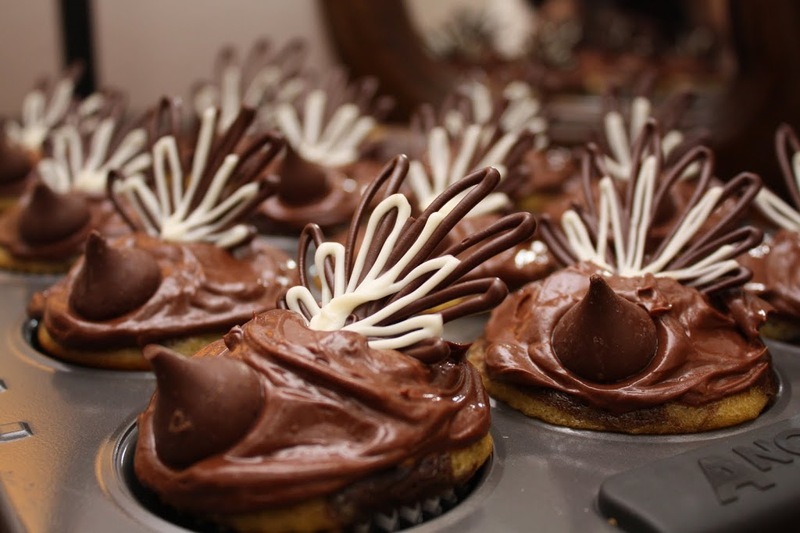 The frosting is silky smooth dark chocolate. 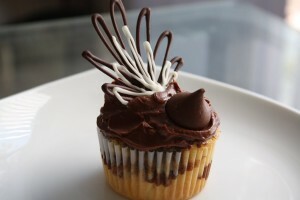 The turkey feathers are piped semi-sweet and white chocolate, with a Hershey’s kiss head. Making both batches of cupcakes made me late to Thanksgiving dinner, but I was a baker-obsessed.